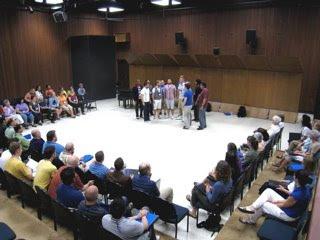 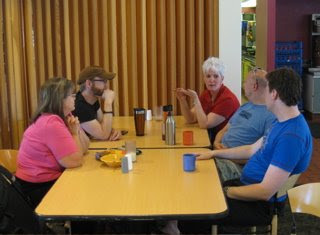 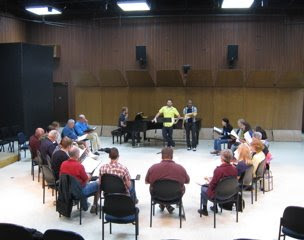 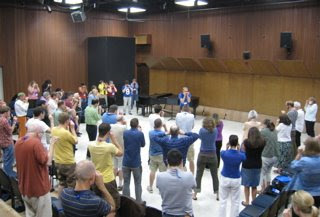 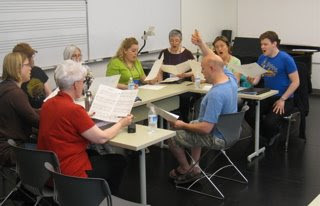 Our fourth almost annual workshop for adult choral singers takes place this week. 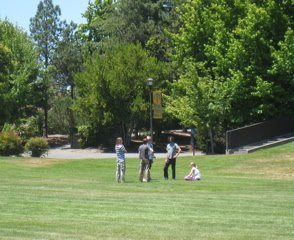 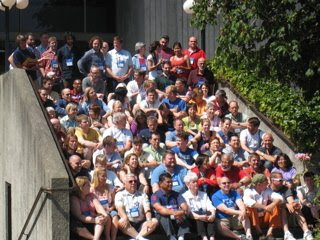 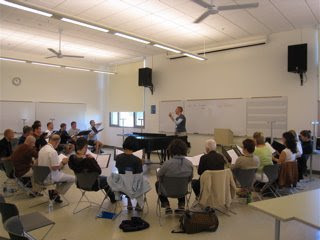 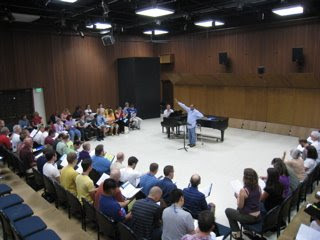 63 singers have joined us on the campus of Sonoma State University for four days of music making. 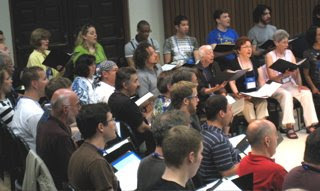 In the big choir - that is 75 of us- we work on music by Gabrieli, Barber, and Biebl and a gospel arrangement by Moses Hogan. 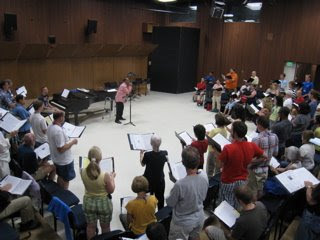 Each singer also takes part in a small ensemble with three of us. 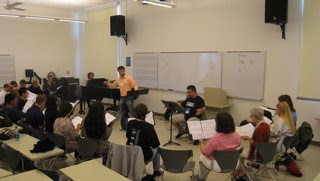 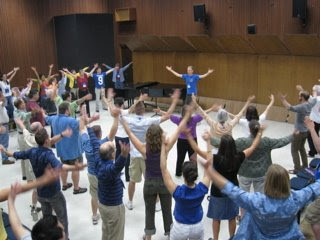 Optional classes are given in IPA, Vocal Production, Sight-singing and Yoga for singers. 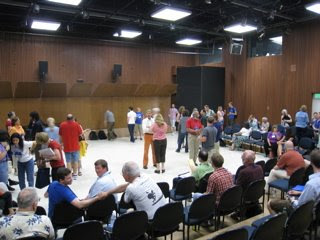 And then there's the fun in the evening! 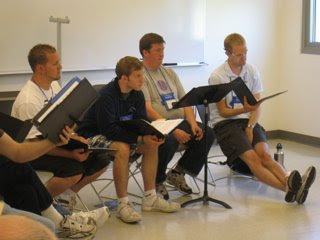 A concert on Sunday afternoon gives us all a chance to present our accomplishments to an audience. 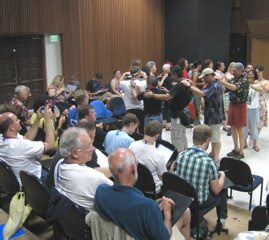 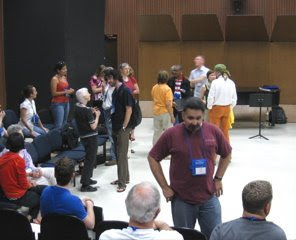 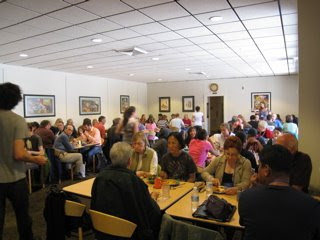 Of the 63 singers participating this year, 37 are returnees, so the opening session is a happy reunion for them and for us, with the bonus of new people to meet. 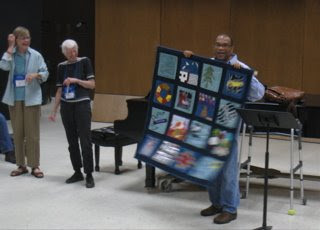 Joe was presented with a 16 panel quilt made by 14 members of the last workshop two years ago. 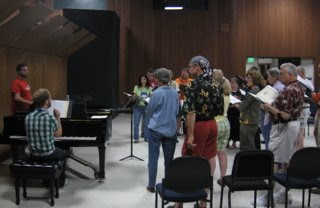 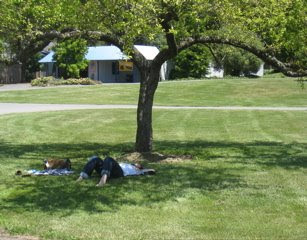 We sang a few notes in Sonoma State's almost completed Green Music Center - much like Ozawa Hall at Tanglewood. 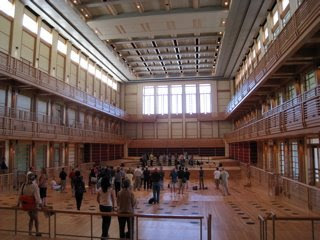 It's beautiful and will be a great asset to the musical life of the Bay Area.